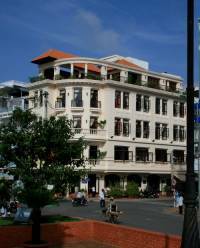 Enquire or book a trip along Cần Thơ - Chợ Mới - Cần Thơ - Sa Đéc. Boarding at Cần Thơ at noon. Welcome drink, introduction to the ship and crew, check-in into the cabins. Departure towards upstream on the Bassac river. Lunch is served on board while en route. Upon arrival at Thốt Nốt, transfer on the longboat to take some walks at a village in Thốt Nốt. Boarding back before dusk, a welcome drink and the dinner are served on board while en route towards Chợ Mới. The bar is open, rest on the deck before the night. 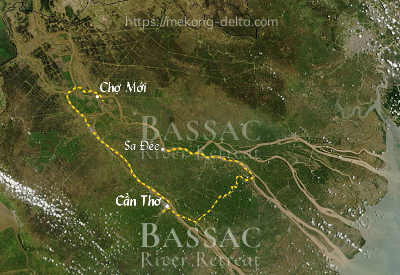 The Bassac drops anchor near Chợ Mới for the night. Breakfast is served from 6:30 AM, as the ship is on her way upstream the Bassac river, then on Vàm Nao river towards Chợ Mới. Upon arrival to Chợ Mới, transfer onto a local boat for the visit of the cages of a floating farm of catfish. Boarding at noon at the Cho Moi pier, welcome drink.